Another delicate area is the handlebars, especially the clutch and front brake levers. Even a parking lot tip-over can break a lever, so a fall in rocks out in the Baja boonies would be worse. So hand guards are in order. Tons of online research yielded nothing but concern about finding myself having to do a bunch of handlebar cutting, buying new levers, and all sorts of make-it-fit stuff, because everywhere I looked I read about problems with the installation. I found the fewest problems with the Moose guards, so I went with those. Actually, the problems were few. Just the usual make-it-fit stuff. 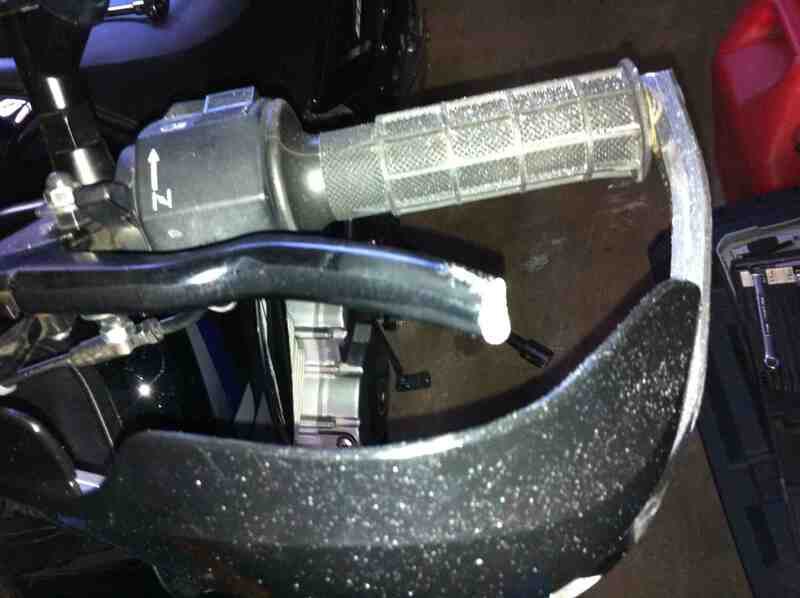 The one real problem was the clutch lever not fitting inside the guard. 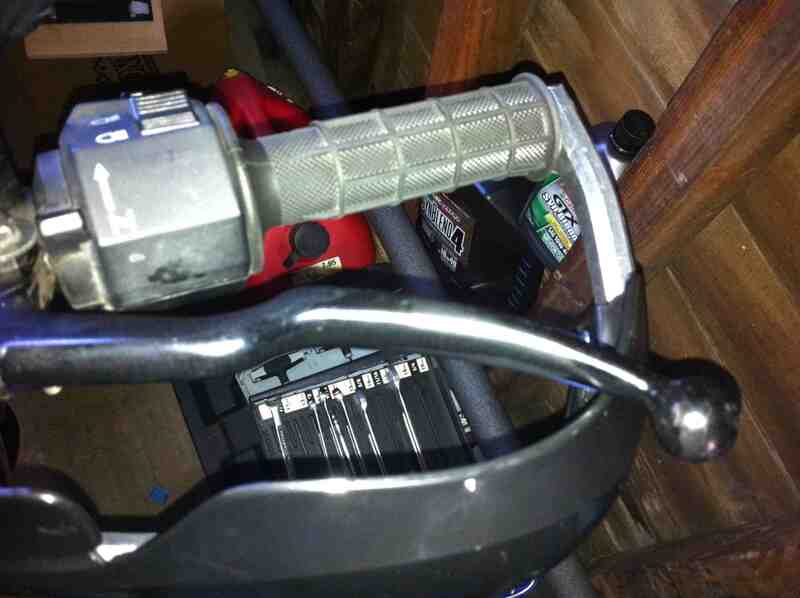 (The brake lever would have had the same problem, but the previous owner bent it in his fall. Convenient for me.) That was solved with a hacksaw. And I saved an ounce or so! Not an elegant fix, but it works, and I can clean it up later.